Chilamate Rainforest Eco-Retreat has long been a critical partner of World LeadershipFoundation by providing local support for WLF’s deployment of TabLab in the area. Chilamate Rainforest Eco-Retreat was born out of the Megan Davis and Davis Azofeifa dream to work together on a project that would benefit the local community and also the critical section of the Mesoamerican Biological Corridor where Davis and his family have traditionally lived. Chilamate is one of the richest parts of Costa Rica in terms of biological diversity yet one of the poorest areas in Costa Rica by economic standards, in most part because of the giant banana and pineapple plantations that dominate the region and the generally low paying and dangerous jobs they offer as well as the influx of struggling Nicaraguan migrant workers they attract. You can find the the Eco-Retreat’s website here. We are thrilled to announce our new partnership with World Possible – creators of RACHEL! World Possible is a 501(c)(3) nonprofit organization partnering with open educational resource providers to bring digital content to communities around the world that lack reliable internet access. World Possible accomplishes this by developing and maintaining RACHEL (Remote Area Community Hotspot for Education and Learning), our free educational server delivered via our global network of on-the-ground installation partners. A Spanish version of RACHEL will soon be installed on our TabLabTabLab, currently being field-tested in the remote Chilamate rainforest of Costa Rica. The Time Tribe is proud to partner with World Leadership Foundation, and to support its innovative TabLabTabLab program! The Time Tribe is a free-to-play, online time travel adventure game series for kids. It follows the story of four children who learn they are members of a secretive group of time travelers, called to help those in need across time and space. It’s an episodic point-and-click adventure game that leads players on a quest through a virtual world filled with places to explore, artifacts to collect, a gallery to customize, mysteries to solve, puzzles to crack, and minigames to play. E-comics and mini-fiction build on the overarching quest narrative that keeps players engaged with the story, its settings, and characters as new episodes are released. The Time Tribe offers a unique take on the past that is completely factual, yet retains a playful spark of magic. With everything in the game based on real history and archaeology, it’s dynamic, interactive storytelling that invites kids to see for themselves how exciting encounters with other cultures and our shared human history can be. Charitable giving built directly into the game gives players tools for concrete action to address problems they encounter in the game world, by helping real children in need today. Players simply visit the in-game Charity Portal treasure chest, where they can donate their virtual game currency directly to partner charities. World Leadership Foundation (WLF) with World Leadership School (WLS) and Street Soccer Academy (SSA) are excited to announce their fun new partnership that shares their love of the game with developing communities across the globe – places where children also have a fierce passion for soccer! Right now, SSA is hosting a new and used soccer equipment drive – shoes, jerseys, balls; all donations are welcome. Then this summer, all of the donated soccer equipment will be carried and delivered personally by WLS students to places like Rwanda, Tanzania, Peru, and Costa Rica where they work with local communities and schools to improve their infrastructure and curriculum. And they’ll play some street soccer together! 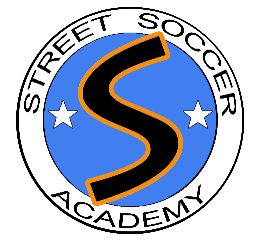 Learn more on the SSA website and read about SSA’s gift of soccer equipment to the La Guardia Soccer Association in Costa Rica here.